Workstation with at least 128MB RAM, Pentium III 500 CPU or higher. PDF files can be upgraded or downgraded among PDF version 1.0 (Adobe Acrobat 1.x), 1.1 (Adobe Acrobat 2.x), 1.2 (Adobe Acrobat 3.x), 1.3 (Adobe Acrobat 4.x), 1.4 (Adobe Acrobat 5.x), 1.5 (Adobe Acrobat 6.x), 1.6 (Adobe Acrobat 7.x), and 1.7 (Adobe Acrobat 8,x, 9.x, 10.x, ISO 32000 Standard). 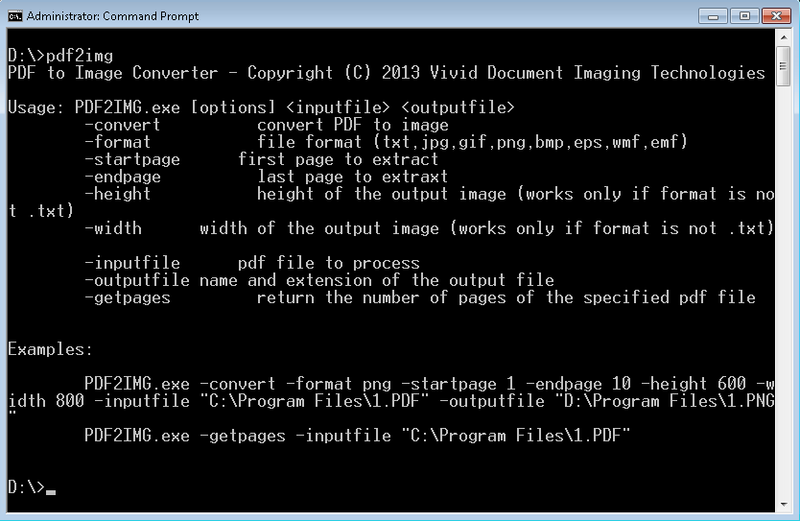 You can purchase the command-line version of the PDF Converter program to convert PDF to TXT, HTM, BMP, PNG, JPG, GIF, EPS, WMF, and EMF. All products support Microsoft Windows 8 64-bit (x64) and 32-bit (x86), Microsoft Windows 8.1 64-bit/32-bit, and are backward compatible with Microsoft Windows 7, Vista, Windows XP, Windows 2000, Windows Server 2003, Windows Server 2008, and Windows Server 2012.